On the Park Apartments offers many ways to connect, relax and recharge. Outside the walls of the clubhouse you'll find the year round outdoor spa, fitness center and 10,000 sq ft courtyard. On sunny weekends, spend the day at the BBQ pavilion with friends. When you get home from a hard day's work the last thing you want to do is to lug your laundry to a laundromat, which is why you'll enjoy having a washer and dryer inside your apartment home. From artistic local accents to towering garden sculptures, we hope you'll appreciate the little things just as much as the big. Welcome home. 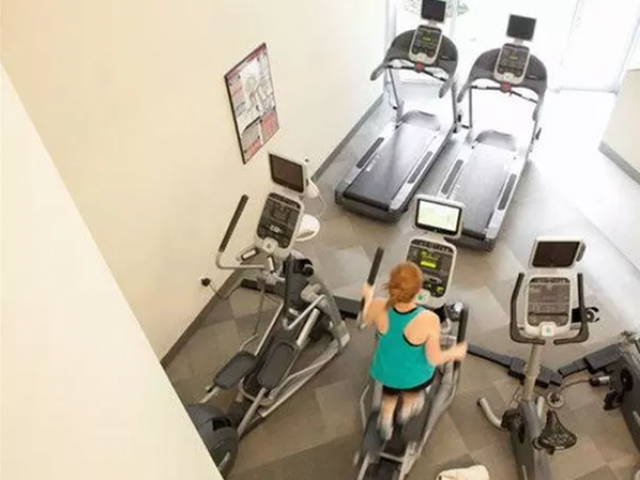 Break a sweat in the Fitness Center or relax outside on the expansive 10,000 Sq Ft courtyard. We strive to create environments to help you recharge.